"I Love Bacon". It's a simple statement. Display your love of bacon for all to see with this 3" x 2" metal magnet. "I Love Bacon". It's a simple statement. 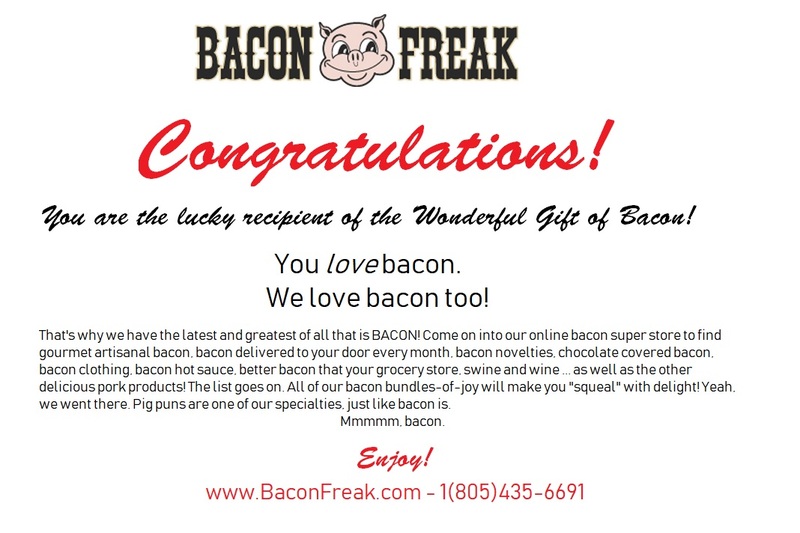 Share your love of bacon for all to see with this 4.625" x 1.625" metal magnet. Don't let your bacon strips go missing! This magnet measures 3" x 2". Eating bacon is a favorite pastime for any bacon lover so celebrate by eating bacon for Breakfast Lunch & Dinner. This metal magnet measures 4.625" x 1.625".